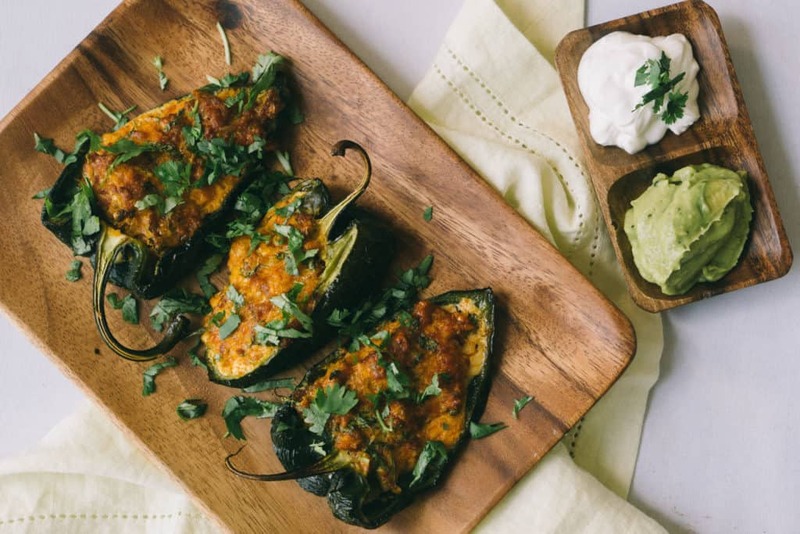 Easy Stuffed Peppers | Chorizo And Cheese! If you've ever seen an easier dinner under 30 minutes than this Easy Stuffed Peppers recipe, let us know! 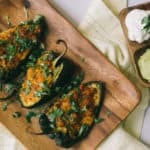 We packed this recipe with tons of flavor and minimal prep to feed yourself and your family any busy night of the week. How Long To Cook Stuffed Peppers? ​Cook time of the peppers is definitely a personal preference. Do you want slight bite to your pepper or do you want it softer and a little charred. We personally prefer a slight bite so 20 minutes in the oven is the perfect amount of cook time. If you want a softer, more charred pepper you can cook them in the oven under broil for a couple minutes before stuffing them! The peppers will then cook further in the oven once stuffed and carry less bite. ​Sometimes there is nothing better than an easy to prep, cook and clean up dinner that isn't take out. And, sometimes all you have time for is take out, but by the time you order, wait for it to get ready and pick it up or have it delivered you could be making this 30 minutes weeknight meal. Plus, you can make it a family activity! Some other great 30 minute dinners are our chicken crust pizza and everyone can make their own, keto egg roll in a bowl and buffalo muenster chicken skillet! Give them a try and see what your family thinks. If you're anything like us then the first half of your day including your morning coffee and first meal are pretty boring and always the same. That means that dinner is left up in the air and you want something with a lot of flavor that will end the day perfectly! 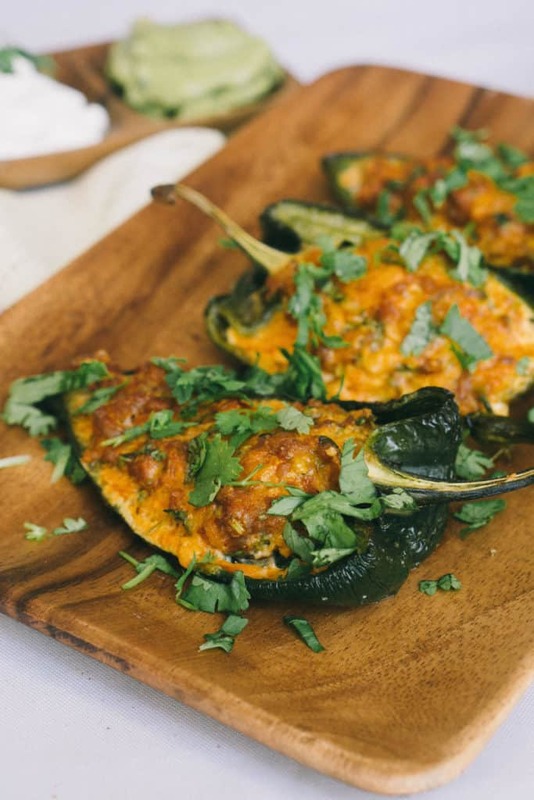 These easy stuffed peppers are the perfect easy weeknight meal to whip up any day of the week. 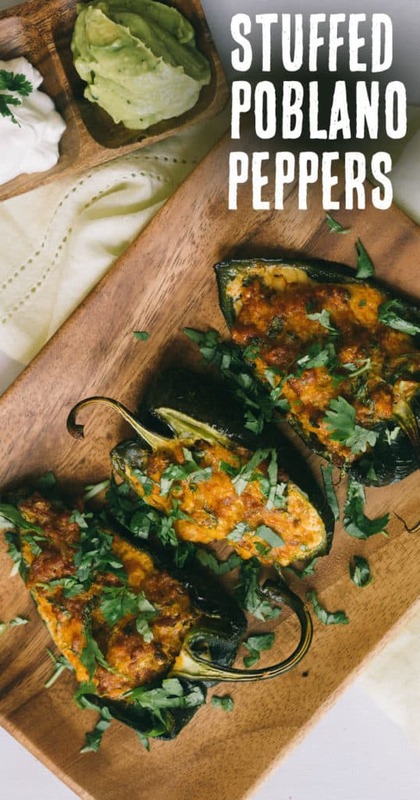 Recipe can be quickly added to MyFitnessPal - Search "KetoConnect - Easy Stuffed Peppers"
Cut the peppers in half lengthwise and set aside on a baking sheet. Add the chorizo to a mixing bowl (removing casing first) and add in the cilantro, cheese and egg. Combine using your hands until evenly dispersed. Stuff each pepper half with the chorizo filling until all peppers are stuffed. It will average out to 4 oz per two halves of the pepper if you want to scale this recipe up or down! Bake for 20 minutes, until meat is cooked through and cheese has melted. Best stored in an air tight container in the fridge up to 3 days. Enjoy!